Eugene Kocmoud visits his wife’s gravesite at Central Texas State Veterans Cemetery as often as he can. He said he brings her flowers on her birthday and enjoys being near her. The couple preregistered for burial when the cemetery opened in 2006, but he figured it would be much later in life before one of them was buried there. His wife, Mary Ann, died in May 2011. “I have a couple of friends here, too,” said Kocmoud, a 20-year Army veteran who lives in Copperas Cove. 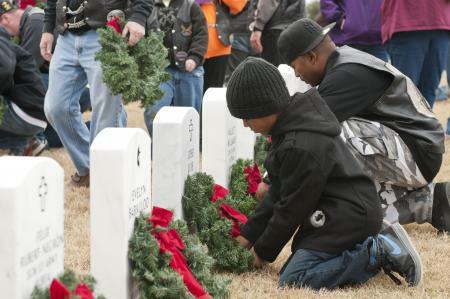 Veterans cemetery a ‘place of honor’ – The Killeen Daily Herald: Military.